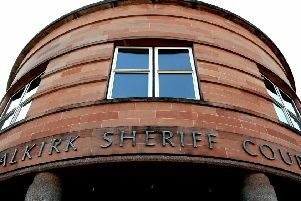 A banned driver told Falkirk Sheriff Court last Thursday he was “too old and too ill” to ever drive or get in trouble again. Now banned for life, William McLean (55), 8 Hawthorn Drive, Denny, admitted the driving while disqualified charge and said he could not explain why he got behind the wheel again in Hawthorn Drive, Denny on October 2 last year. Defence solicitor Murray Aitken told the court both McLean’s parents passed away recently and he believes he had some sort of breakdown. Sheriff Craig Caldwell said McLean had one of the worst criminal driving records he had seen during his 20 years as a sheriff. He sent McLean to prison for 10 months and banned him from driving for 10 years.